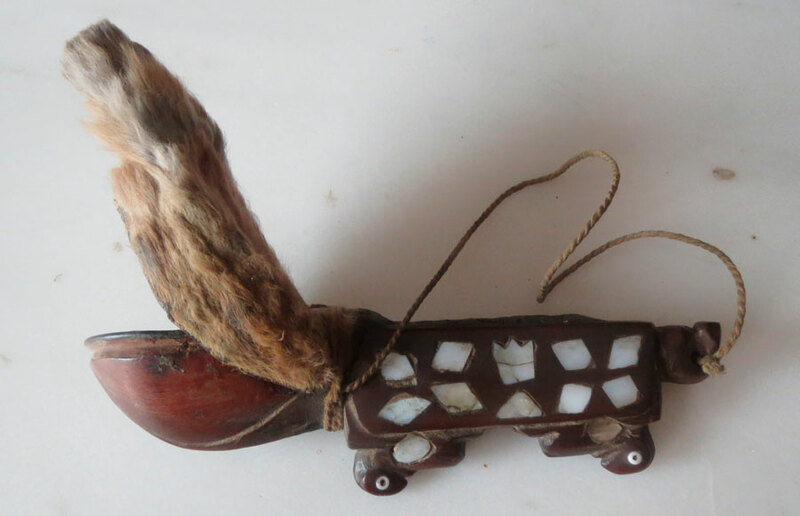 Wooden spoon that comes from the culture of the Kalash. The wooden spoon depicted above comes from the culture of the Kalash, a tribe living in Chitral, Pakistan, often seen as descended from Alexander the Great’s troops. 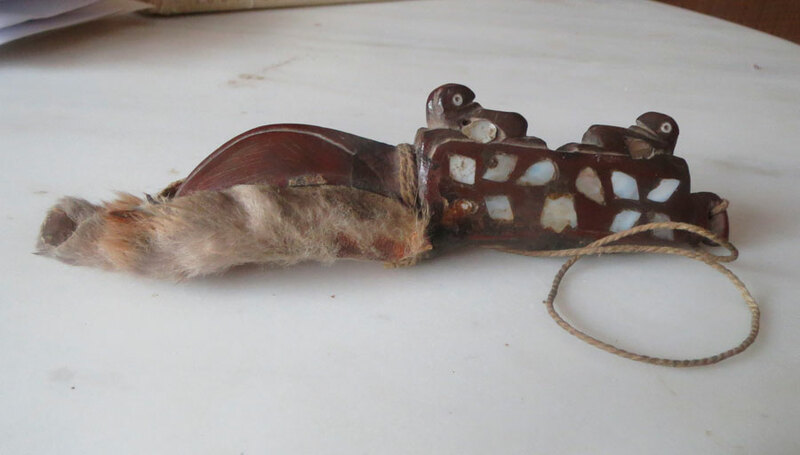 This spoon, covered with hare skin, was used during rites associated with fertility of the soil, during which the Kalash were planting seeds in order to raise good crops. 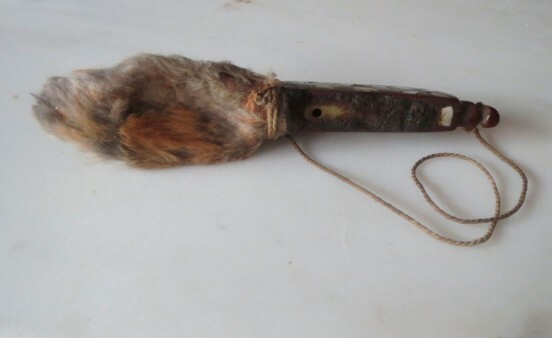 The spoon handle was tied by a cord which had to be tied around the cult performer’s wrist, so that the spoon won’ t fall down -as every wrong move is considered a bad auspice in such kind of rites. The handle also bears a relief decoration of two hares. 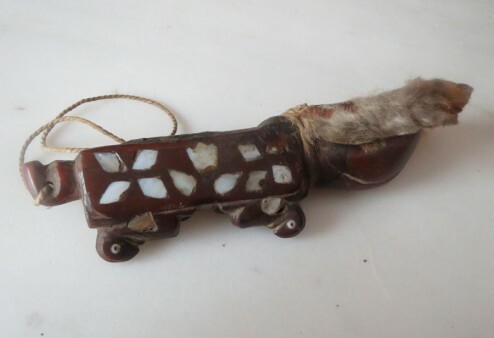 This decorative pattern, alongside the use of hare skin, is associated with the fertility of hares who give birth to many offspring at once and many times. Through ritual, this fertility was passing to the soil.